From chicken farmer in the Mojave dessert to executive director of a non-profit promoting the arts in the Hudson Valley isn’t too much of a stretch of the imagination, is it? But hey, that’s how things go around these parts. With a very vibrant and diversified arts environment, you never know who you may sit down next to in a local coffee shop or restaurant or how they arrived here, but there is a good chance that they are involved in some form of the arts whether it is visual, performance, literary, or otherwise. 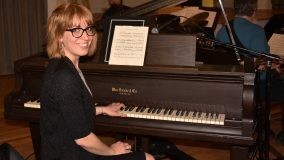 Besides the revenue that the arts generate directly, they have proven to be an economic driver for communities that promote them by incentivizing consumers to spend money on dining out, lodging, transportation, etc., so it’s a huge benefit to have organizations that promote the arts locally. 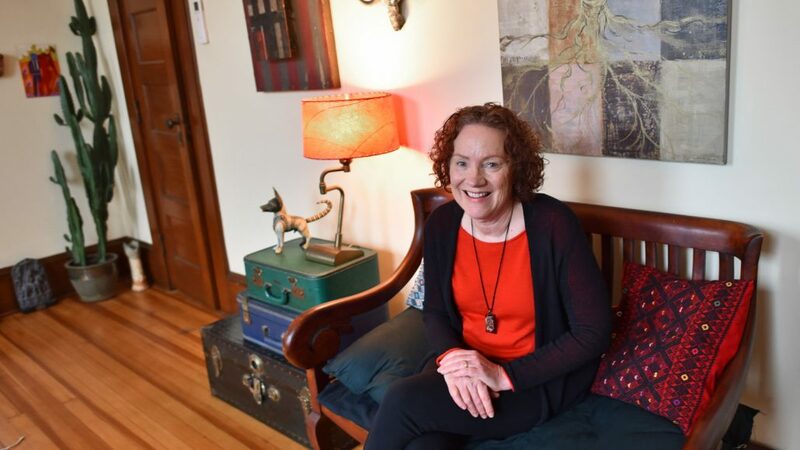 Say ‘Hello’ to this week’s Doer and Dreamer who is doing her best to herd those artist cats and make sure the arts have a positive impact on our community. I’m originally from Southern California and grew up in the desert northeast of Los Angeles, but have lived all over the US – from Santa Barbara, Eugene,Oregon, Seattle, Washington to Virginia and then Brooklyn. After my work brought me up to the Mid-Hudson area, I began to schedule meetings in Kingston with the arts and cultural groups located here. The more I visitied and got to know the people, I realized this place would become my home and moved here in the fall of 2015. One of the things I have learned from living all over is that there is no perfect place; you have to find your people and I’ve found my people in Kingston. 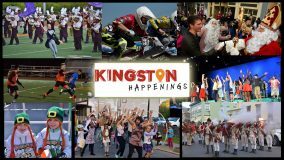 Kingston has so many great places to hang out! Not being much of an outdoorsy person, my favorite is Outdated Cafe for brunch and The Beverly for those after work meetings. My husband and I have regularly traveled to Mexico for over 20 years and our favorite city is Oaxaca. This is a magical city – there is a deep history of the Zapotec culture that visitors can see when they visit the ruins of Monte Alban, a lively tradition of natural dyes and textile weaving, black ceramic pottery and wood carving. The residents of Oaxaca are welcoming and there has been a resurgence of internationally known Oaxaca chefs returning to their city and using their world-class training in traditional dishes with local ingredients. I grew up on a chicken farm in the Mojave desert.